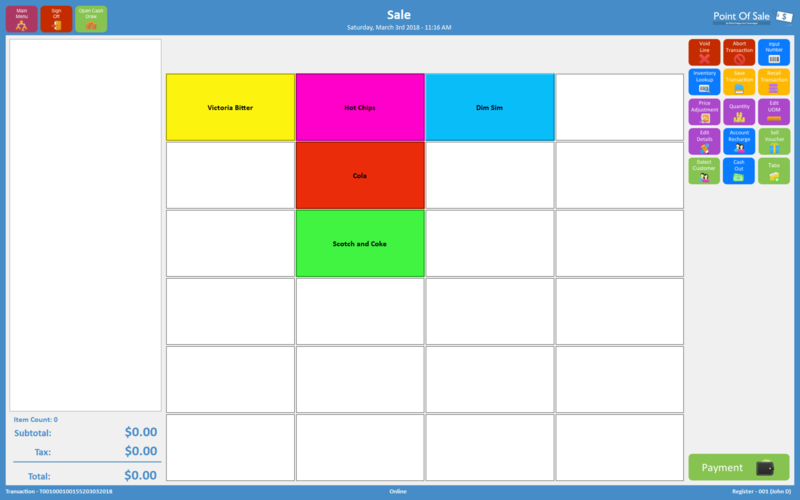 To process a sale a user must have logged into POS, and be in the “Sale” module. 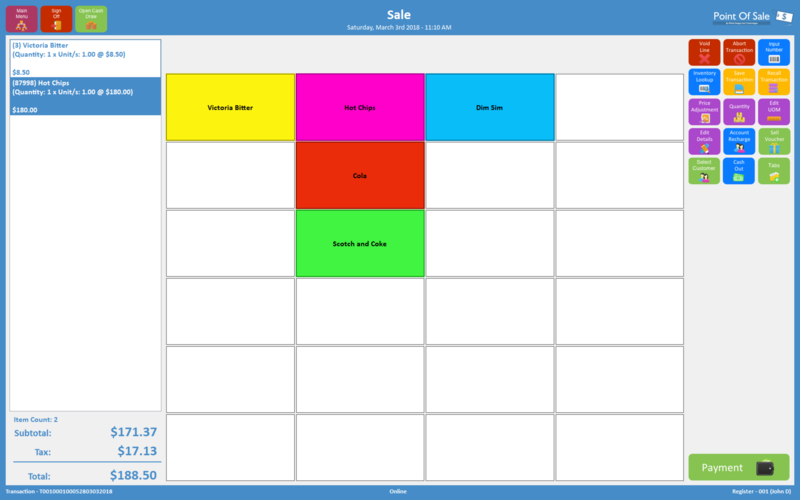 “Sale” mode is the first screen seen when a register has been opened and a user logs in. 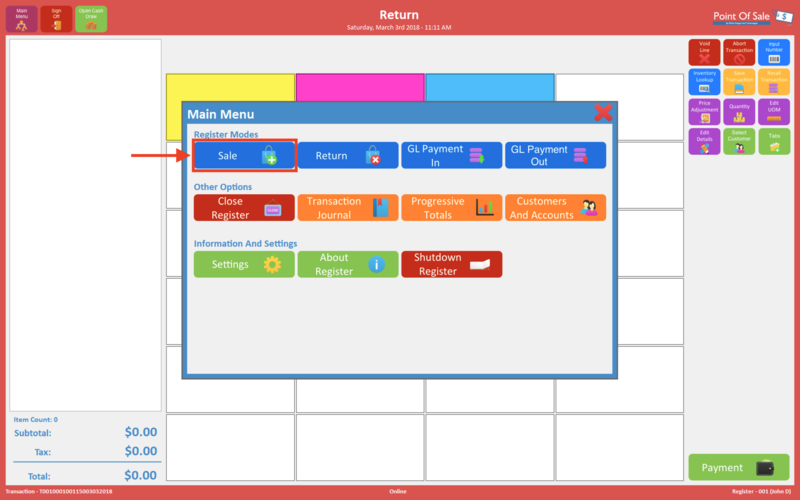 Alternatively if a user has already logged in and is in another mode such as the “Return”, then a user should go to the “Main Menu” button and select “Sale” from under the “Register Modes” selection in the main menu. Doing this will then then set “Sale” mode. Manually type in an item code using the onscreen or where applicable computer keyboard. Upon selecting anyone of these ways to insert an item, the item will be to the transaction to the left hand of the screen. If all items are inserted and a user is ready to finalise a transaction, select the “Payment” button to make payment.